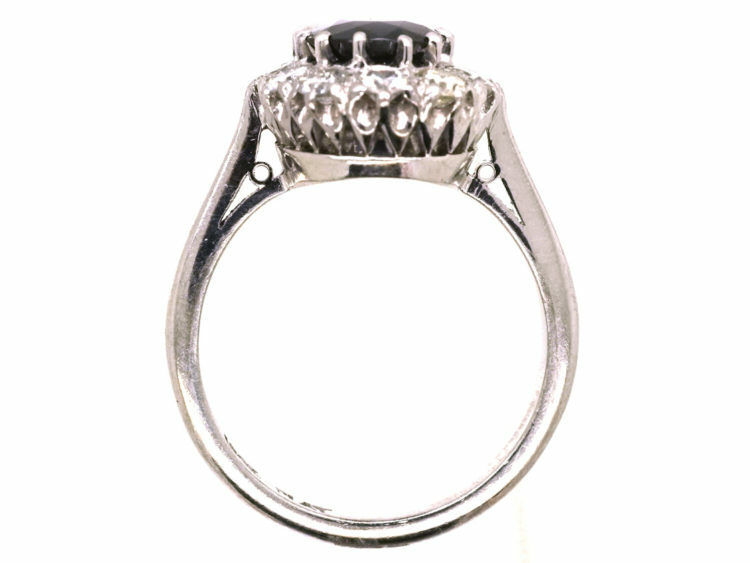 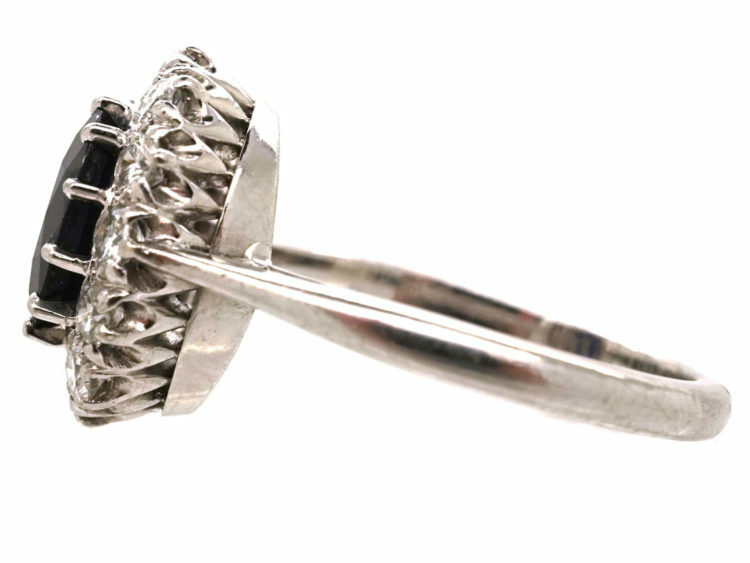 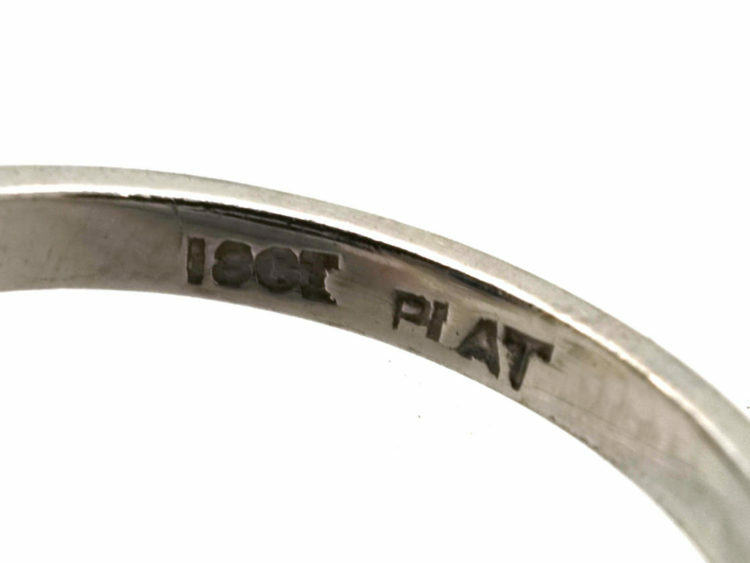 A lovely 18ct white gold and platinum top ring. 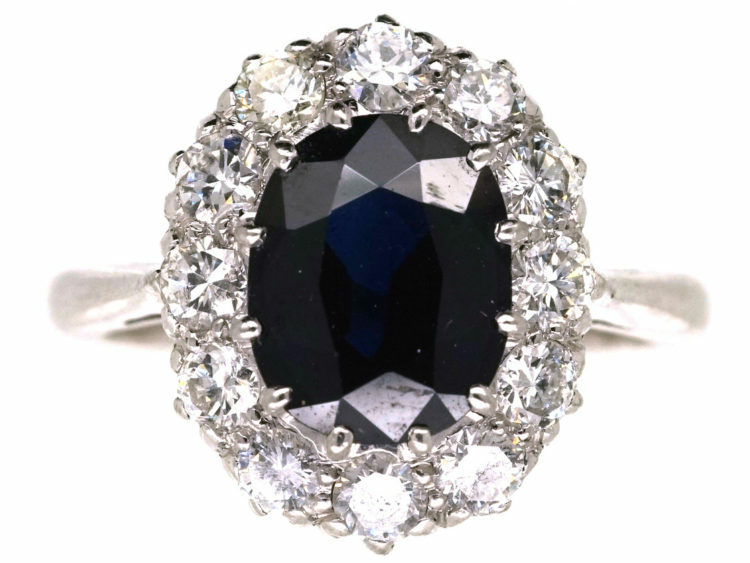 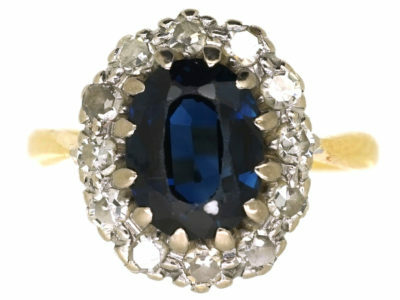 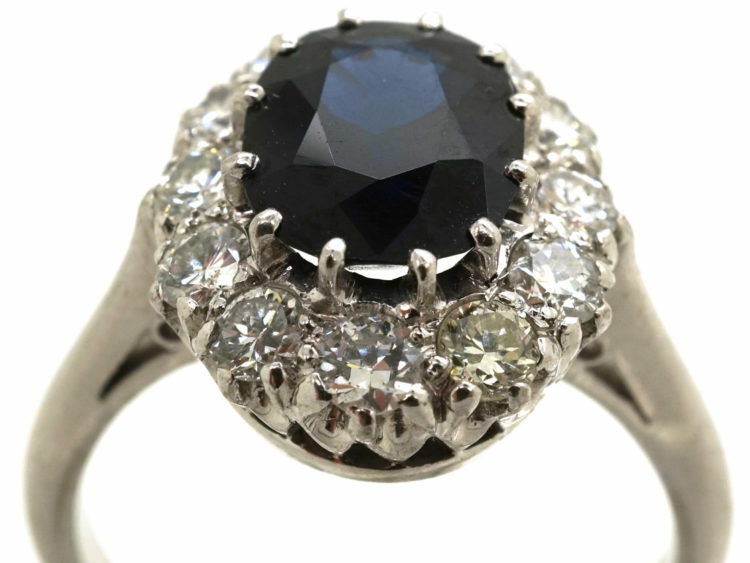 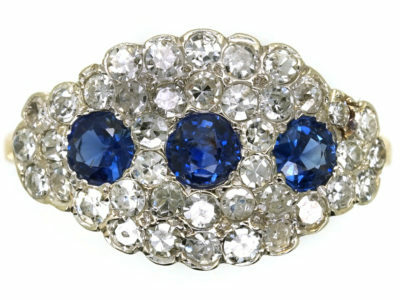 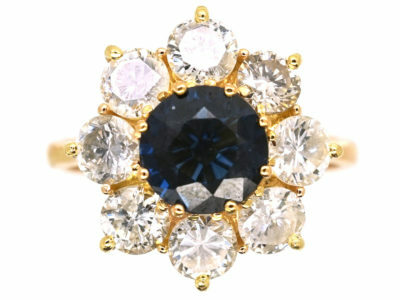 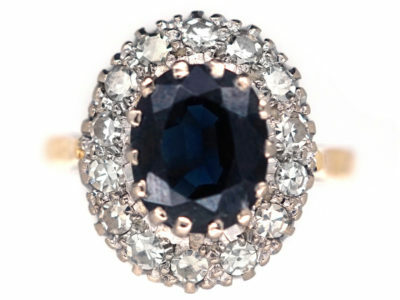 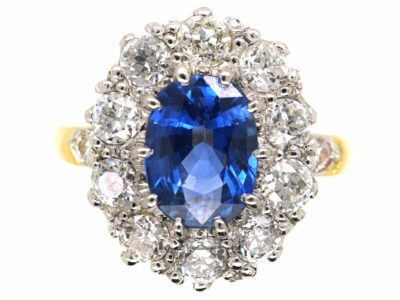 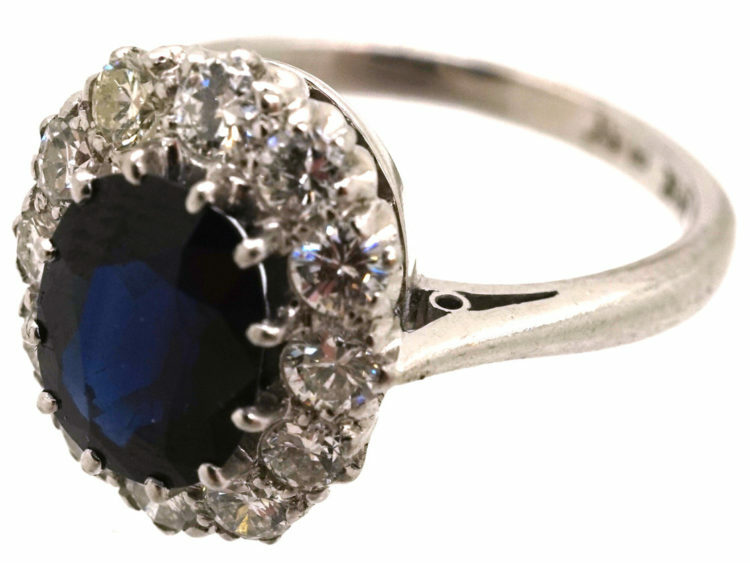 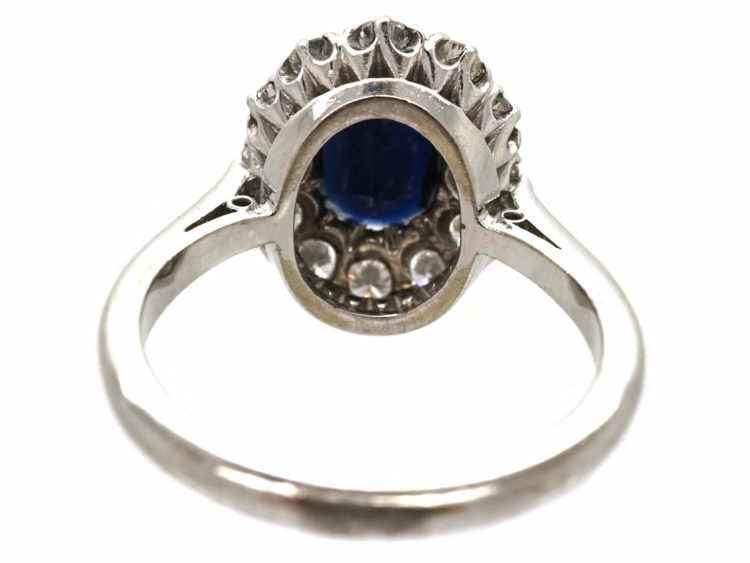 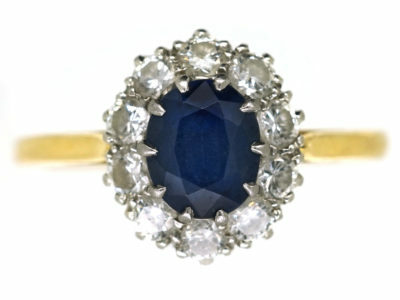 It is set with quite a large oval sapphire that is a deep Royal blue colour. 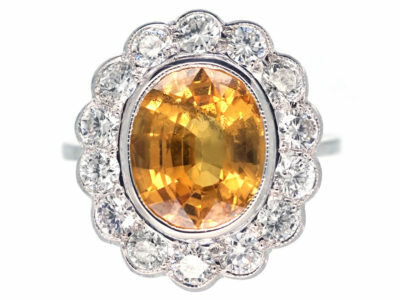 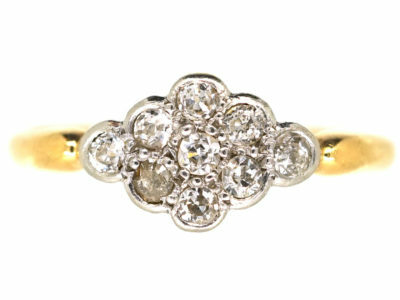 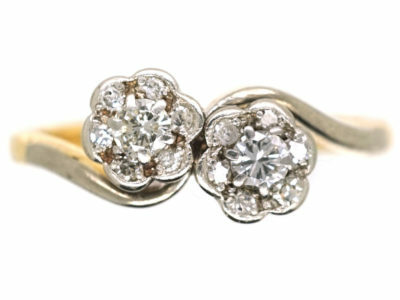 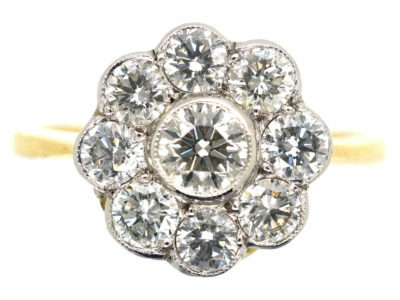 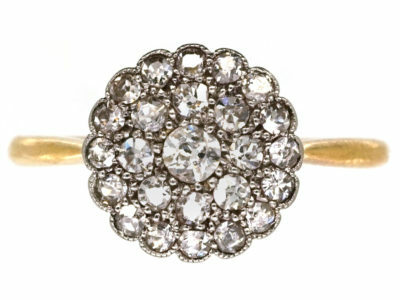 It is surrounded by twelve well matched white diamonds. 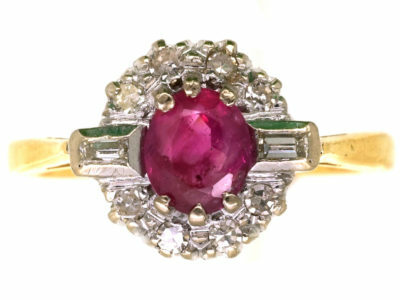 It would be ideal as an engagement ring.